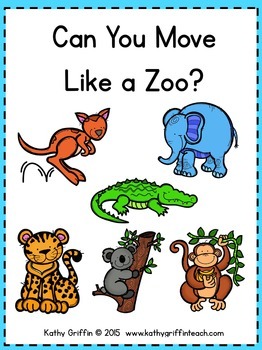 Can you move like a zoo? 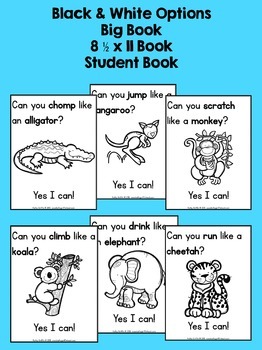 Use this predictable text book to help increase fluency, concepts of print, sight words, and more. There are 3 different-sized options. 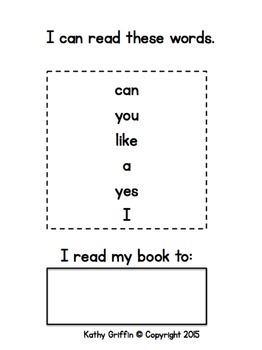 Use for whole group shared reading, small group instruction, or as an independent center activity. 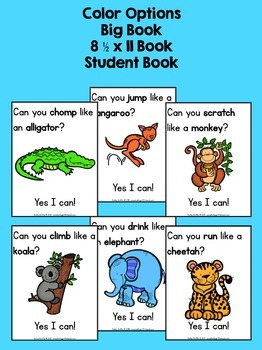 Students can put this book in their just right reading boxes. This purchase is for a one teacher classroom. Please refer your colleagues to purchase additional licenses at a reduced price. No part of this book set may be posted on any social media site or internet server.